Warehouse efficiency remains one of the most important strategic goals and differentiators for logistics organizations. And the reason is simple, without an efficient warehouse operation the business is forced to increase its workforce in order to maintain high levels of service. But while adding additional employees might help the company keep up with demand, doing so often results in the erosion of profit margins, which results in a less profitable company and a warehouse operation that is more prone to human errors. To combat this challenge, many warehouses are looking towards technology to provide solutions that automate repetitive tasks and reduce errors. Other organizations are analyzing every warehouse process and removing unnecessary steps – even eliminating some processes all together. The most successful businesses are doing both. By both, eliminating unnecessary processes and implementing error reducing technologies businesses not only increase their efficiency and profitability, but also better position themselves to effectively compete in an industry that is already extremely competitive. 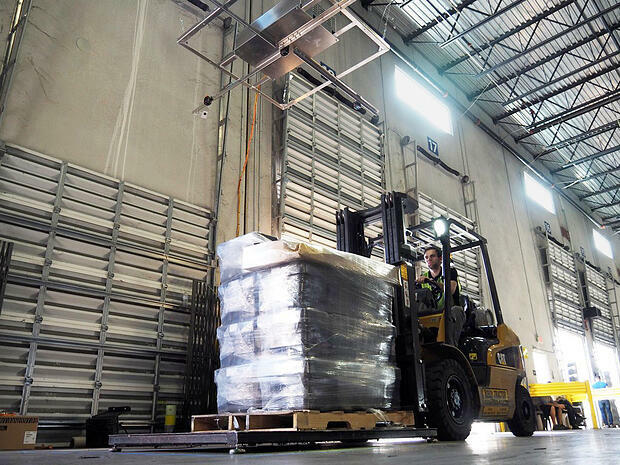 In this article, we explore 3 technologies aimed at increasing warehouse efficiency. Pallet and box dimensioning can be very time consuming. On average, we’ve noticed that it can take a receiving clerk between 40 – 55 seconds to manually measure cargo dimensions and enter them in the WMS. All this without considering the likelihood of errors when done manually. A key technology that Warehouse Managers and decision makers must consider when looking to increase warehouse productivity are dimensioning systems. 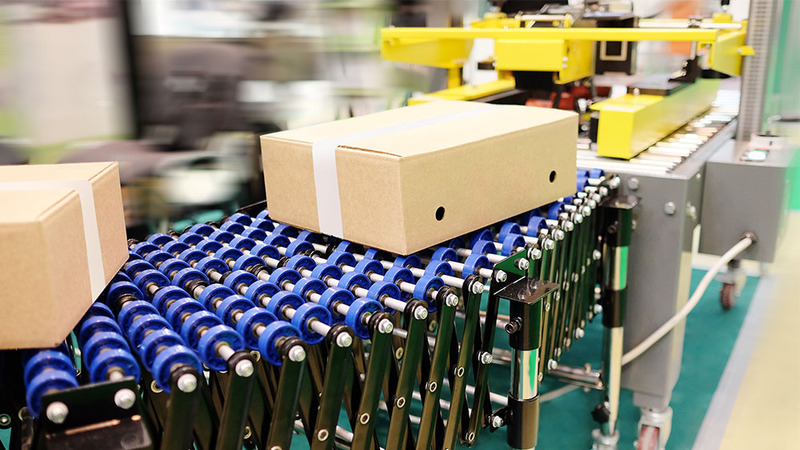 Pallet and small package dimension systems are extremely effective at automating the measurement and verification steps involved in the receiving process. Warehouses that have implemented dimensioning systems reduced the time spent measuring boxes and/or pallets by at least 68%. Dimension systems measure pallets and/or boxes, putting the dimensions automatically into the warehouse receipt. Some can even be integrated with the scale to allow you to capture dimensions and weight automatically into the receipt. Additionally, some dimension systems, go as far as capturing high definition digital snapshots of the cargo to allow customers visual proof of the state of their shipment – all in less than 10 seconds. See the image below of a pallet dimension system in action. In addition to increasing warehouse productivity, dimensioning systems also reduce data entry and collection errors. NTEP certified and commercial grade dimension systems (no Kinect driven devices) have a reliable accuracy of ±0.25”/ ±0.50”. When integrated with the warehouse management system (directly or indirectly) data entry errors become a thing of the past. In most warehouses, the average clerk takes 30+ trips a day back and forth from a fixed station to print picking lists and labels or enter shipment data into a computer. Mobile technology gives workers immediate access to systems from anywhere in the warehouse. Still today, most warehouses continue to use fixed stations to perform basic data entry or to print picking list and labels. Warehouses that do so are inherently inefficient. Some mobile technologies that increase warehouse efficiency include: mobile computers, mobile printers & wearable barcode scanners. Strong computing power is no longer confined to desktop computers and servers. Warehouses can now find the same reliability, computing power, and standard business applications in mobile computers and rugged tablets. 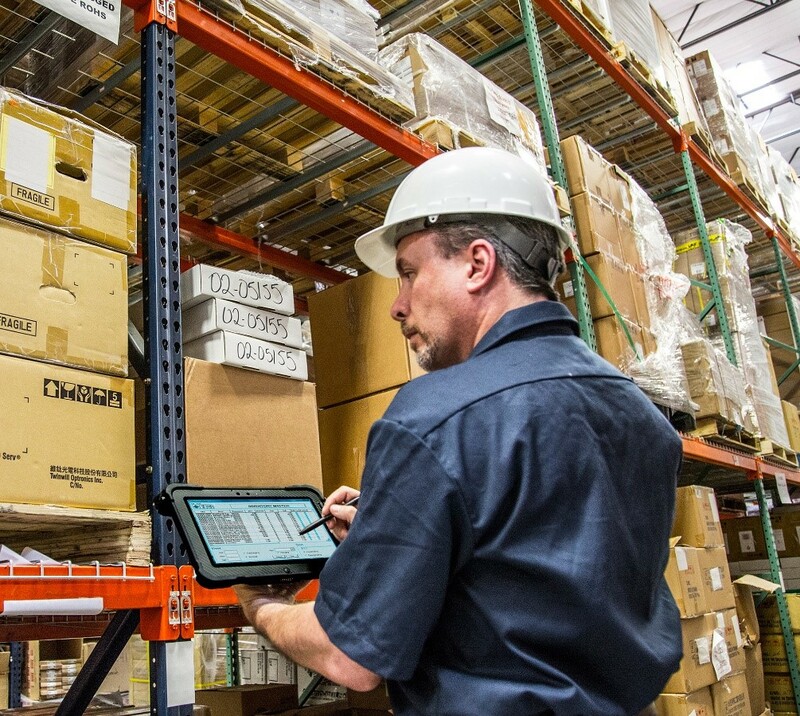 Most rugged tablets and mobile computers have been designed to support extreme warehouse conditions (temperature, humidity, dust, shock, etc.) and many have military grade certification (MIL-STD 810G ruggedness) so you don’t have to worry about durability. They are also equipped with long lasting batteries and reliable wireless network capabilities. Mobile printers allow workers the freedom to generate labels from anywhere in the warehouse without having to be at a specific location. From the receiving gate to the bay or the loading area, as long as there is a good wireless warehouse network, clerks are able to print labels on site and avoid unnecessary walking time. This is a must for organizations striving to modernize their warehouse operations and increase warehouse efficiency. Barcode scanners are at the center of an efficient warehouse. From receiving, to put-away, to picking, packing, sorting, and shipping, barcode scanners are no longer a nice to have – but a must have. But barcode scanners are also evolving into a more mobile, more ergonomic & friendly device than its predecessor - the handheld scanner/computer. Solutions like the wearable wing barcode scanner (see below) provides the hands free benefit that allow warehouse workers to remain productive and mobile without having to compromise between picking cargo or holding the scanner. We’ve discussed all the technological revolutions happening in the warehouse and how these solutions can create more efficient warehouse operations. But the reality is, without a warehouse management system that can leverage these technologies there is not much that one can do about warehouse productivity. For the most part, best of breed warehouse management systems provide this level of functionality or at least an easy way to integrate with these technologies. So what are the three most important characteristics that a WMS must have to allow the business to benefit from all the technological advances that improve warehouse efficiency? It must be mobile friendly, easy to integrate & process oriented – among others. Let’s discuss this a bit more. A mobile friendly warehouse management system allows warehouse employees to work across a platform of mobile devices, from smartphones to tablets. This is normally accomplished via a native mobile application (a smartphone application) or a responsive web application (web-based software that adjusts to the screen-size of the device or browser the user is operating). No system has it all and the ability to easily and cost effectively integrate with other systems is one of the main characteristics that make best-of-breed WMSs so special. Look for a system that can easily integrate with other systems and technologies. And make sure the WMS provides a reliable and well documented API (application programing interface). Evaluate the costs associated with using the API. Some vendors follow the Salesforce model (API usage is based on license edition), others charge a reasonable monthly fee, and some charge per transaction. The latter is the least favorable, because it’s unpredictable and hard to budget for. In an industry where the flow of goods needs to happen fast and without errors, it’s a challenge to keep things running smoothly when many small & mid-size warehouses experience high workforce turnover rates. Because of this, it is important that the WMS offers a way to define and enforce warehouse processes through workflow engines as well as a way to measure the efficiency of such processes and the productivity of employees – features often found on best of breed warehouse management systems. Every business would love to be able to afford an ERP, but for the most part ERP prices are prohibitive for small/mid-size logistics companies. The good news is that a best of breed WMS can come very close to an ERP without braking the budget. New warehouse technologies have opened a door of opportunities for warehouses to become more efficient and businesses more competitive. In the coming years, companies that are willing to embrace new technologies (and successfully implement them) will be positioned to remain competitive and profitable. Why Do Warehouses Need Barcode Scanners?